Atmospherics: Surrounded by a cerulean pool of water to cool even the most torrid temperatures, threesixtyone⁰ serves a variety of cuisines, but Japanese is your best bet. 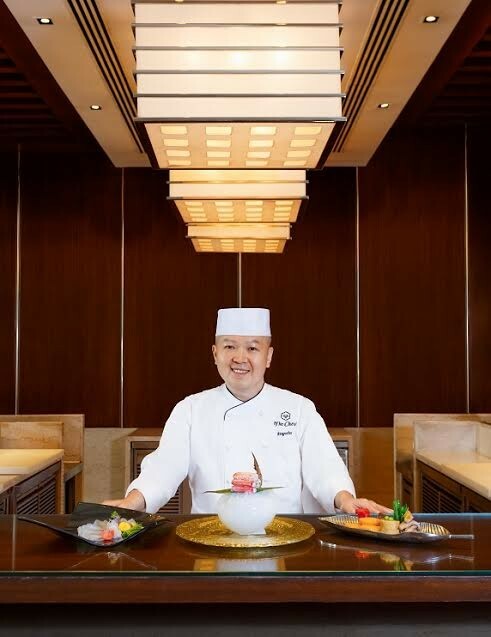 Chef Hiroshi Kagata is a powerhouse of talent. There is a work station of this chef with tables or bar stools nearby: take your place. You have the option of treating threesixtyone⁰ like a speciality Japanese restaurant and ordering sake, shochu, Japanese whisky, Asahi beer or umeshu with your omakase (as the chef pleases) menu, or ordering sushi, wine and a pizza, or, stick with the rather sad printed Japanese menu and order a set menu or teppanyaki dishes. 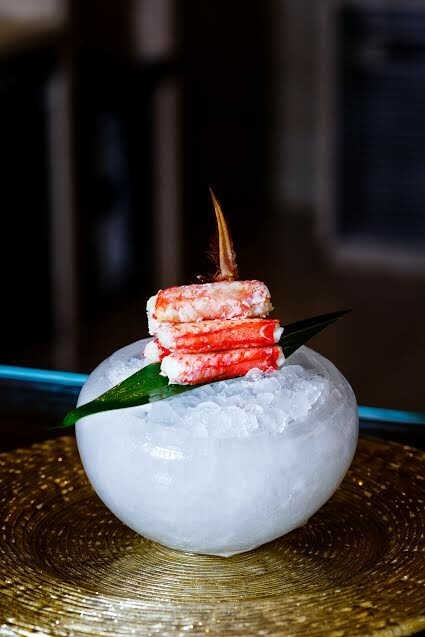 However, you would not be doing justice to the genius of Chef Kagata. The way to get the most out of his ability is to visit on any day besides Monday (his weekly off) and order a meal, leaving the details to him. Table talk: I was not told what I was going to be served but had already expressed my preference for seafood. Tuna kakuni (simmered with ginger and soy) was a delicate little starter that raised a supposedly provincial dish to an art form. Next came amberjack carpaccio, garnished with strong vinegar, raw onions and spring onion greens. The Hokkaido kegani chawanmushi was the high point of my meal. The sheer texture of the egg custard was firm with a hint of viscid custard, in which strands of crab lurked. I am partial to chawanmushi (it requires an extremely skilled hand to do it skilfully) and this is undoubtedly the finest I have tasted. The seabream hotpot, served with Chinese cabbage, large chunks of seabream and tofu was served with a separate bowl of dashi stock that you could pour into the hotpot according to your taste. The bowl was enormous and I learnt that I was not expected to finish all the stock, because it would be used for the final dish of the meal: zosui or Japanese rice with dashi stock with whisked egg. As comforting as our very own khichadi, the meal cost Rs 8,500 per person (Rs 6,500 per person for an omakase meal without prior notice is the base price). 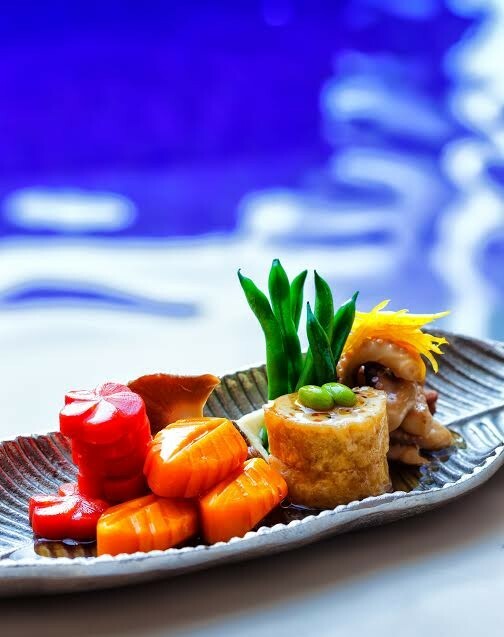 You leave the table full yet never uncomfortably so: that is the art of the Japanese chef. Plus and minus: Upgrade the Japanese menu, Oberoi!